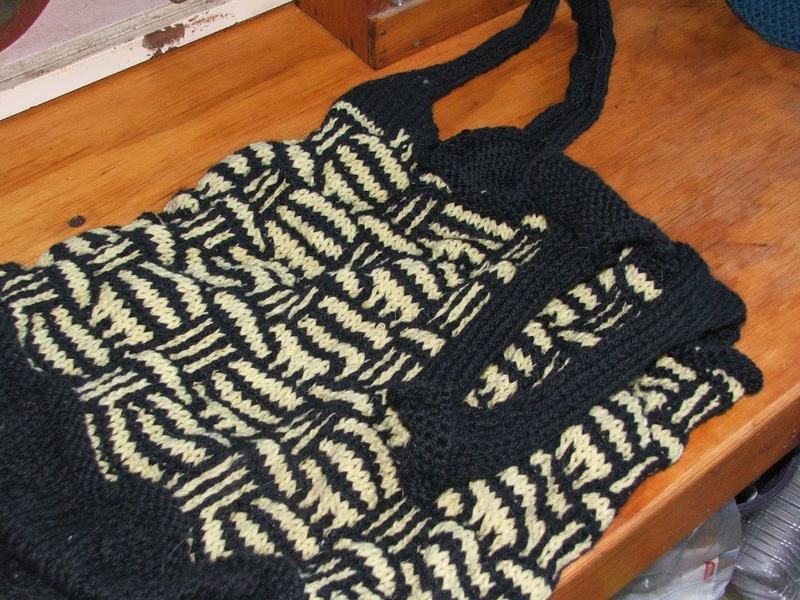 I have been making knitted and fulled bags to sell at the markets. They are so much fun to make and each one is unique. I thought I would share one of the patterns I use. This is the first fulled bag I made. I knit on the bus on the way to and from work and at lunch time, and I spin in the evening when I sit down, but I don’t seem to be able to spin fast enough to keep up with my knitting. 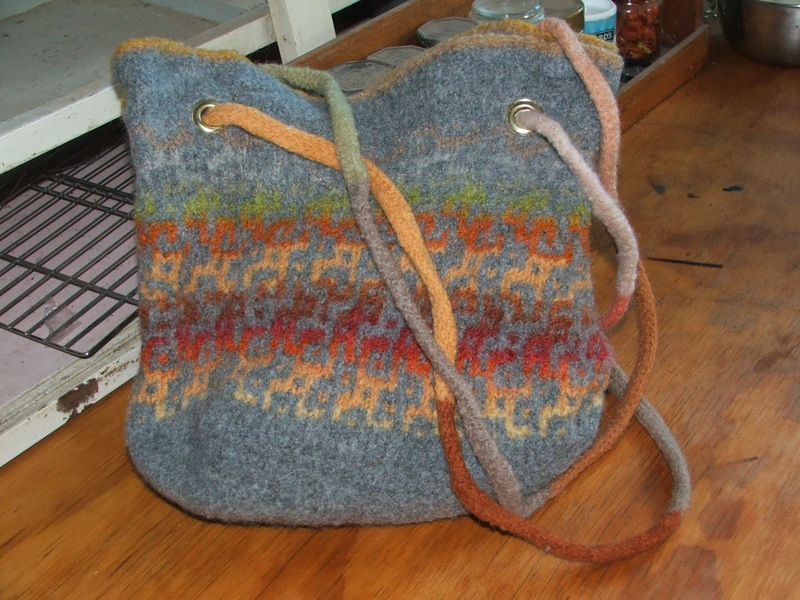 Instead I buy pure (and non-super washed) wool from second hand shops whenever I see it and use it to knit these bags. This one is for the markets. 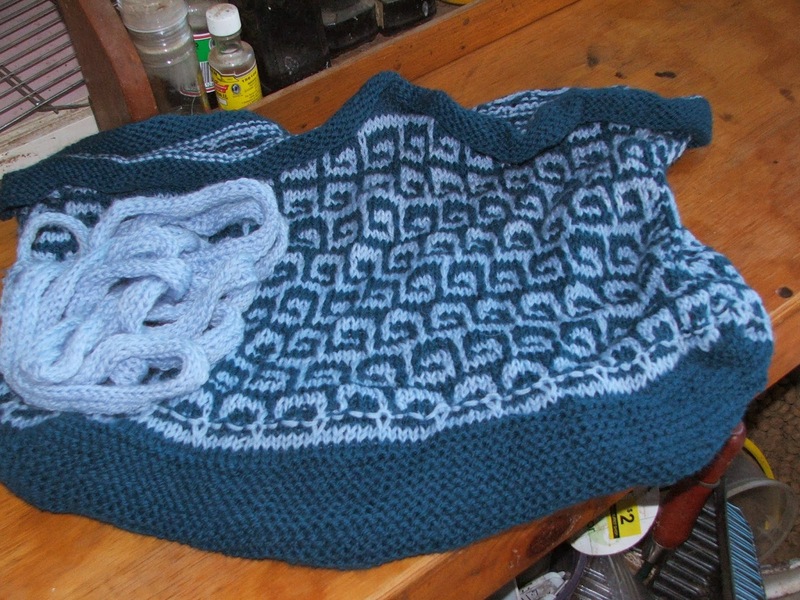 The pattern I would like to share today is one I have just finished knitting. 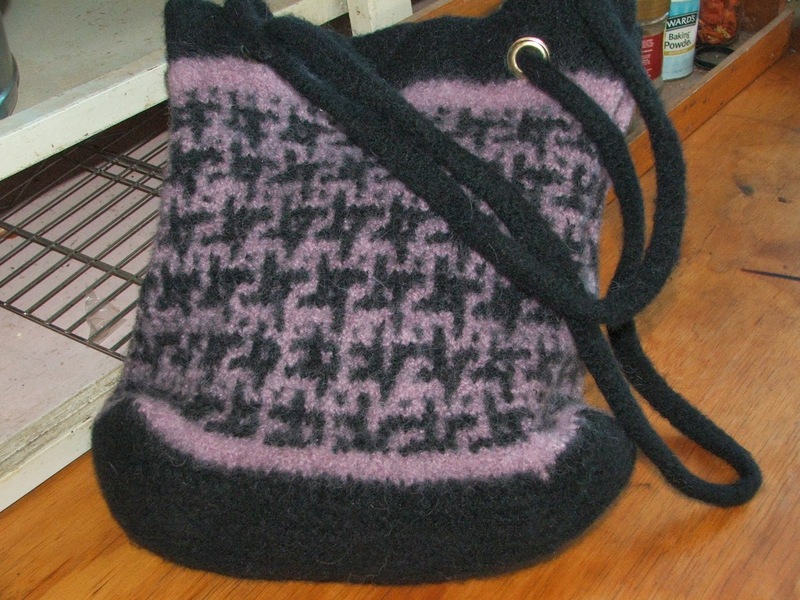 As usual, I have complicated the process; I used the Petite Felted Bag pattern by Ann Linn to get the shape of the bag and the mosaic/ slip stitch pattern from the Asthore bag by Christi Wasson for the pattern. This is the bag before fulling. Don’t be scared off by the fulling process, it’s just doing on purpose what I have done by accident for years; machine washing pure wool until it becomes felt. 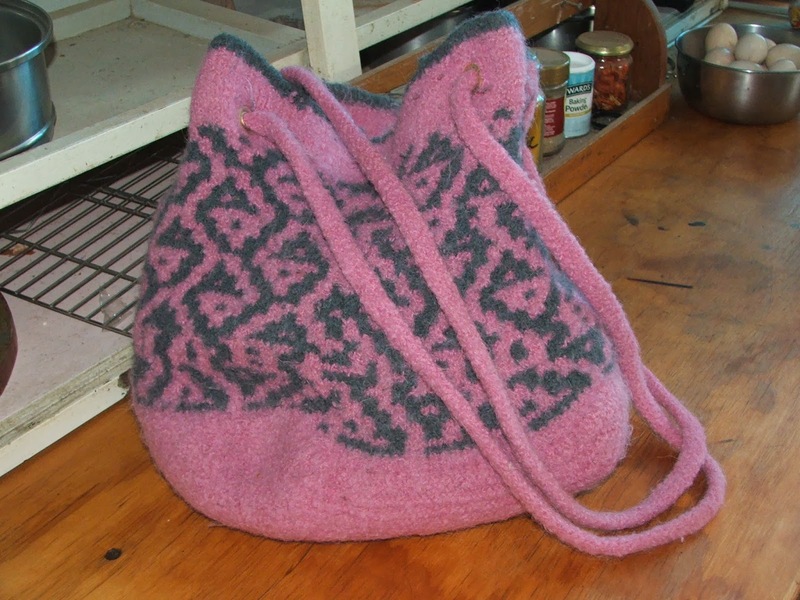 Simply throw the finished bag into the washing machine with hot water for about fifteen minutes and then check, if the bag isn’t felted enough just do it again. I love making these bags, they are easy to knit and full, they are very tough and fully washable. They stretch out a bit with use, but snap right back to their smaller size when washed (I wish I could say the same). I really enjoy knitting; it keeps my hands busy so my mind can wander. Making something useful is always a pleasure too. I am setting my goal at about six fulled bags by December, so I can take them to a market somewhere and make enough to buy more wool.